VTV.vn - Ho Chi Minh City made socio-economic development improvements while still dealing with problems inherited from previous years after one year implementing the Politburo’s Conclusion 21-KL/TW and the National Assembly’s Resolution 54/2017/QH14 on piloting special mechanisms and policies for the city. In 2018, Ho Chi Minh City posted a GRDP growth of 8.3%. It welcomed 7.5 million foreign visitors, who accounted for 50% of total foreign visitors to Vietnam. The city licensed the establishment of 44,000 new enterprises, or 33% of the total. Labour productivity hit VND293 million per worker, 2.92 times higher than the national average. Budget collection hit VND378.5 trillion, up by 8.65% from 2017. Attracted foreign investment capital was US$7.394 billion. 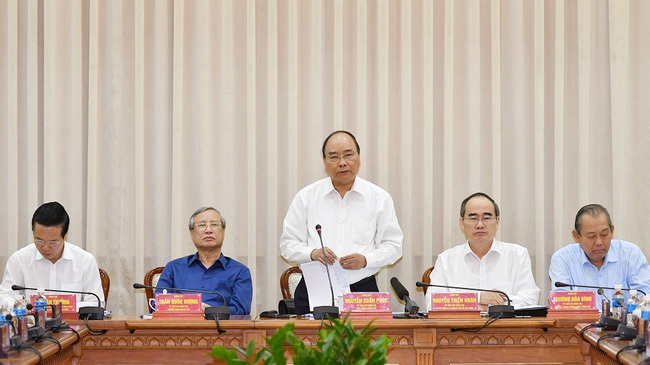 HCM City still retains its leading economic locomotive of the country, he remarked, citing its budget contribution of over 27% of the national budget income. The equitization of State-owned enterprises has yet to fulfil the set goal and crimes are happening in a complicated manner, especially stealing and foreigner-involved crimes, he said.